Shades of Green is a proud supporter of Earth Hour. 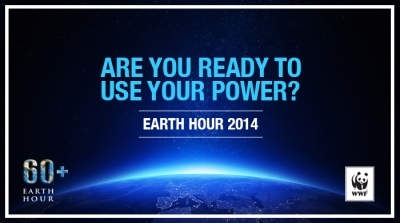 This year, earth hour is between 20h30 and 21h30 on Saturday the 25th of March. Millions of people as well as organizations worldwide participate by hosting an event during this time or switching off all electricity for an hour. People participate by going star gazing together, having earth hour parties or even having candle lit dinners to support earth hour and make as much noise as possible for action on climate change. Here at Shades of Green we go the extra mile by trying to live each day in a sustainable way, by planning and implementing events and exhibitions in a way that is socially and environmentally friendly. At Shades of Green we are passionate about helping clients not only plan and execute, but do so in a way that reduces environmental impact, while increasing economic, social and environmental benefit. We as people of this nation need to take responsibility for environmental and social performance. In our previous blog post “Inspiration Station”, we have shown sustainable exhibition designs from around the world and as well as some done by the Shades of Green team. Earth hour supporters have definitely helped make a change over the past few years. Many supporters have successfully received some climate friendly laws and policies which may include those that banned plastic located in the World Heritage site of the Galapagos islands. Climate change begins with ordinary people like you and I, it is our responsibility to protect our planet, because it’s our home. We at Shades of Green, are huge believers that small steps equal big outcomes. We challenge all businesses as well as clients to be acknowledged for your sustainability leadership in 2017. We as people of this nation need to take responsibility for environmental and social performance. 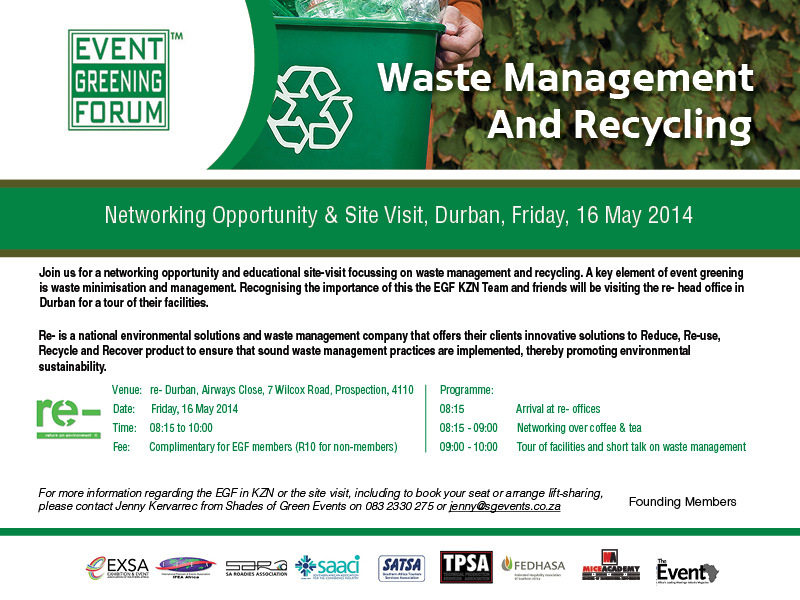 A key element of event greening is waste minimisation and sustainable management. 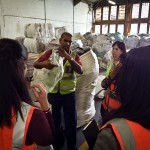 Recognising the importance of this the Event Greening Forum (EGF) KZN Team and friends on Friday, 15 August 2014 visited the Re- head office in Prospection, Durban for a tour of their facilities. 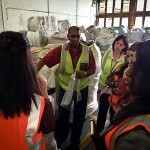 Shades of Green Events – heading the EGF KZN Team – organised the site visit. Re- is a national waste management solutions company that offers their clients innovative solutions to Reduce, Re-use, and Recycle and Recover product to ensure that sound waste management practices are implemented, thereby promoting environmental sustainability. A sustainability solution from Re- means less waste to landfill, less resource consumption and less harmful emissions. Their innovations include composting and biomass engineering of organic material, outlets for raw materials and diversion of suitable materials to animal feed, extraction of product for biofuel manufacturing and use of material as an alternative fuel resource. 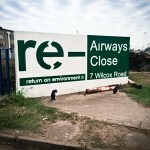 Re- focuses on the concept of circular economy, nothing wasted, everything repurposed. 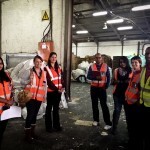 Their approach fits within an increasing global trend to reduce, re-use, rework, recycle and recover waste products. 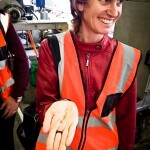 One person’s waste can now become another person’s valuable raw material. Considering the cost, and sometimes-limited availability of original input materials the demand for recovered waste products are increasing. Where as basic waste management focuses on removing waste from the living and working areas in an environmentally acceptable fashion (including waste storage, collection, transport and disposal), this new approach promotes sustainability through providing creative waste solutions that divert waste from landfill and truly sees disposal as a last resort. In terms of event management, this points to the importance of effective planning re waste minimisation and management. Event organisers should aim to minimise waste (i.e. no bottled water); and to thereafter focus on the effective management of waste through for example re-using products (i.e. USB flash drives made from recycled materials or biodegradable materials such as bamboo or printed branding materials that can be re-used), and recycling (i.e. recycling bins to collect paper, plastics and so forth) and arranging for the recovering of waste that cannot be re-used. Again, disposal should remain a last resort. 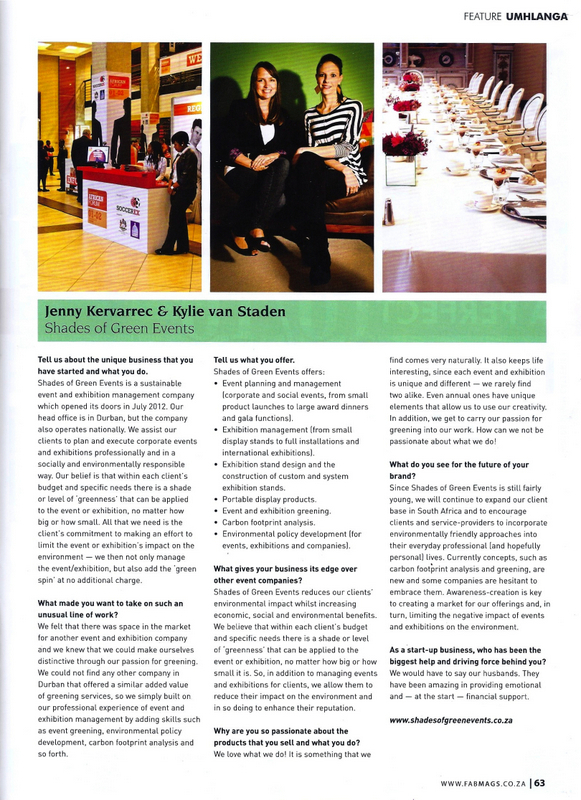 The 4 ladies profiled include the Directors of Shades of Green Events, Jenny Kervarrec and Kylie van Staden. 10 Fun Things To Do During Earth Hour! Join Shades of Green Events in celebrating Earth Hour by switching all non-essential lights and appliances from 20:30 to 21:30 on Saturday. There is however no reason to twiddle your thumbs in the dark during Earth Hour this year. 1. Play with sparklers. Take long-exposure photos of your efforts. 2. Play board games by candle light (using beeswax candles). 3. Get closer to nature and go star gazing. For the more energetic people moon dancing will be an option. 4. If you have kids, get out the camping gear and reminish about a time before electricity. 5. Play a REAL game of hide and seek. 6. 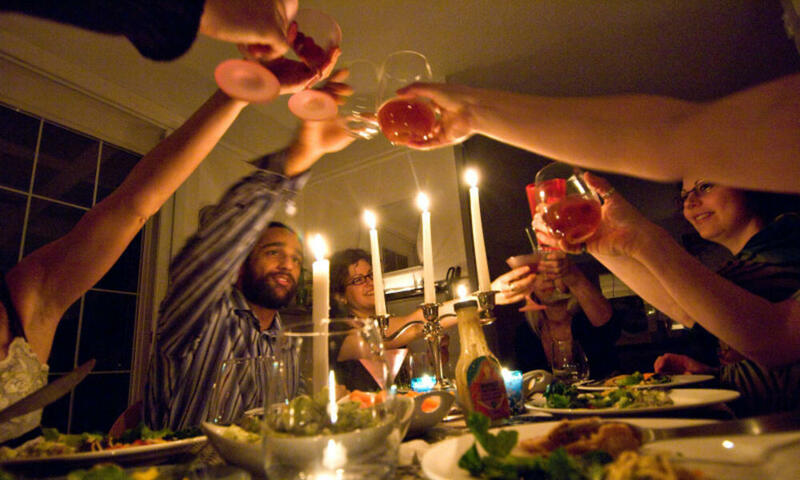 Have a South African Braai with your friends (using sustainably harvested wood) or have a romantic dinner by candlelight with tasty dishes based on the WWF’s livewell principles. 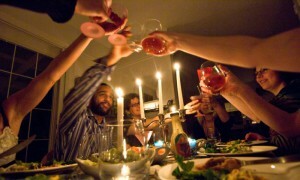 Download their dinner party guide. And while you’re at it, take advantage of the combined romance of candlelight and eco-chivalry to pop the question. 7. Have an acoustic music night – pull out the guitars and other music instruments. Remember to practise without looking at your hands. 8. Debate whether one hour can trigger social change. 9. Go to bed early. Wink, wink. Nudge, nudge. And maybe start a pool on whether there will be a baby spike in nine months. 10. Make streetlight shadow puppets (yes, the streetlights stay on, for safety). 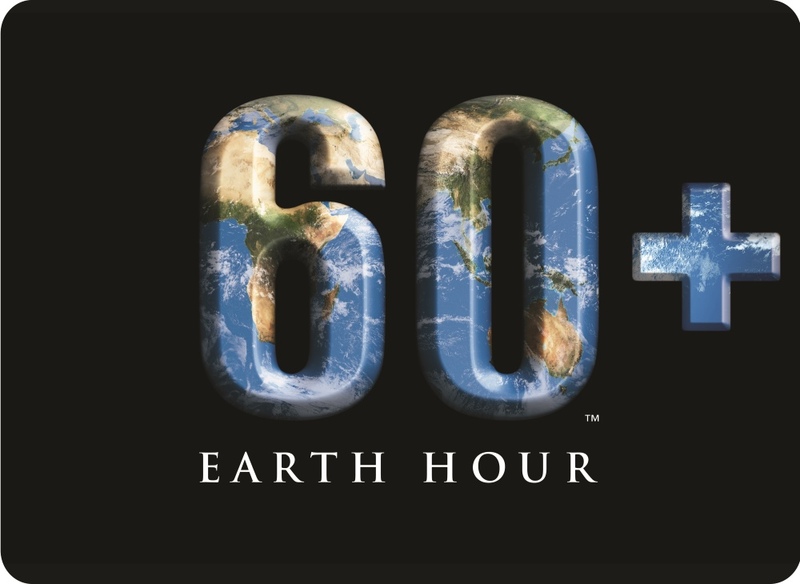 Shades of Green Events plans to join millions of people across the world who will switch lights off for an hour on 29 March from 20:30 to 21:30 as part of the Earth Hour initiative – a worldwide movement for the planet organised by the World Wildlife Fund for Nature (WWF). To bring people together through a symbolic hour-long event. To galvanise people into taking action beyond the hour. 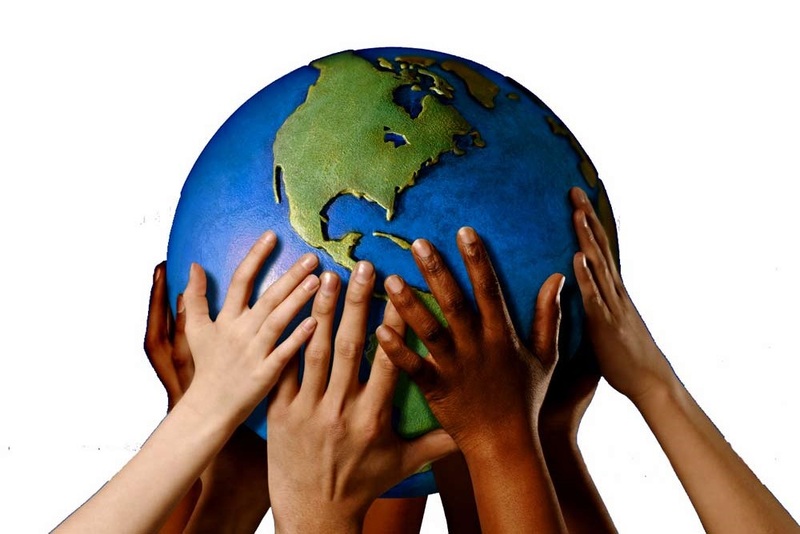 And to create an interconnected global community sharing the mutual goal of creating a sustainable future for the planet. 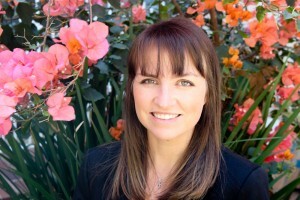 During the recent Event Greening Forum (EGF) Annual General Meeting Shades of Green Events Director, Jenny Kervarrec, was invited to serve on the EGF Management Committee. Jenny will also Head the KZN EGF Team. Waste management is a crucial part of a sustainable event or exhibition. On Wednesday, 5 February 2014 Shades of Green Events will attend the launch of the 2014 Waste Management Awards competition. The event will take place at the Assagay Hotel outside Durban. 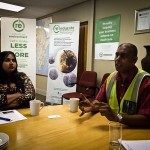 Winners of the 2012 Waste Management Awards will be asked to do a 5 – 10 minute overview on why they feel they performed well in their category, touching on their strongest points. Feel free to view the programme! 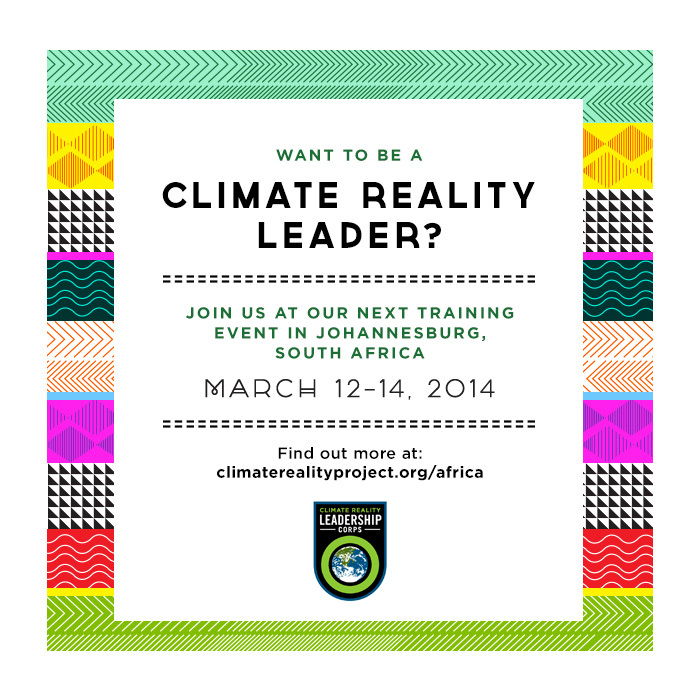 Join the Climate Reality Leadership Corps at their next training scheduled to take place 12 – 14 March 2014 in Johannesburg, South Africa. The training will focus on the science of climate change, how to talk to people across the continent about the ways climate change affects them personally, and what can be done to address this challenge. As the year ends and the New Year beckons we have a desire to start the year off the way we mean to end it “bigger, better, smarter”. Most of us have New Year Resolutions that include diets, fitness, financial savings, holiday plans and so the list goes on. We have to wonder if any of those resolutions include ways to be “greener” at home and at work or if it’s just another white elephant that we like to pretend doesn’t require our attention. 1. Buy a glass bottle and fill it up with tap water (don’t buy bottled water when there is no need). 2. Keep re-usable shopping bags in your car and one folded in your handbag. 3. Give “Meat Free Monday” a go! 4. Use plastic containers instead of plastic sandwich bags. 5. 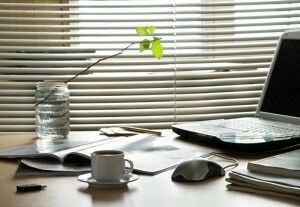 Create a paperless environment – do you really need to print? Shades of Green Events and their staff have already committed to being a company that is working towards a greener environment and hope that their suppliers, clients and friends of the industry will do the same. 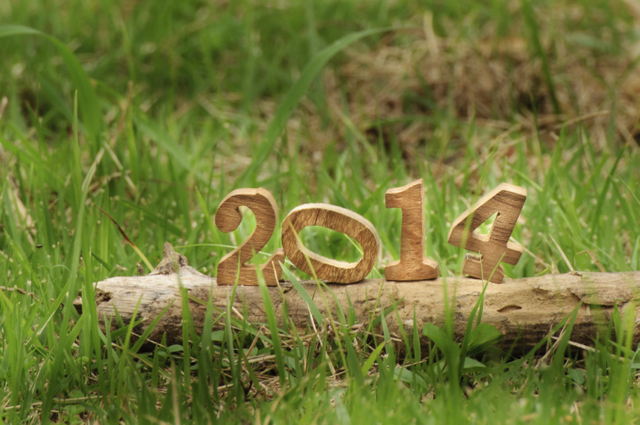 Here is to greener pastures and a fantastic 2014. Contact Shades of Green Events for all your 2014 Event, Exhibitions, Eco-Policy Development and Carbon Footprint Requirements. As a member of the Event Greening Forum (EGF), Shades of Green Events, would like to encourage our partners, service providers and clients to participate in the Green Office Week. This year Green Office Week takes place from 22 – 26 April 2013. It is both a campaign and a cause. As a campaign it aims to sensitise as many people as possible about the need to become more eco-friendly and sustain changed behaviours. As a cause it plays a national role in alerting all people at work to the need of showing more respect to our planet’s survival. What makes for an excellent environmental or green policy? An excellent environmental policy should encompass the company’s commitment to reducing the impact it has on the environment it operates in. The policy should be the foundation for future decision making and have top management buy in. 1) The policy needs to be written in a way that all stakeholders – staff, clients, and others – can understand it. 2) The policy should be structured with achievable objectives that will show amongst other things how applying greening practices will reduce overheads. 3) The focus should be on reducing and minimising the environmental impact before recycling and off setting. Certification such as ISO14001 would be a great driver towards carbon neutrality. 4) There needs to be accountability from staff and management. A green team or committee should be established to keep the policy alive and active through reporting on and revising it to ensure it stays timely as the company grows. 5) The document needs to be integrated into all other policies and procedures and communicated accordingly. 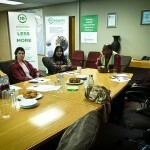 6) Communicate any green credentials to stakeholders as part of a Public Relations exercise. 7) Select a third party company such as Shades of Green Events to assess the company’s carbon footprint. It is important to have a benchmark to work from when setting measurable goals. This will allow the company to measure and report on its success with concrete figures. An excellent environmental policy can have many rewards for a company and is a valuable and worthwhile investment. Not only will the company reduce its overheads it can also benefit with securing potential tenders or deals with companies or governments that are already taking a stand. 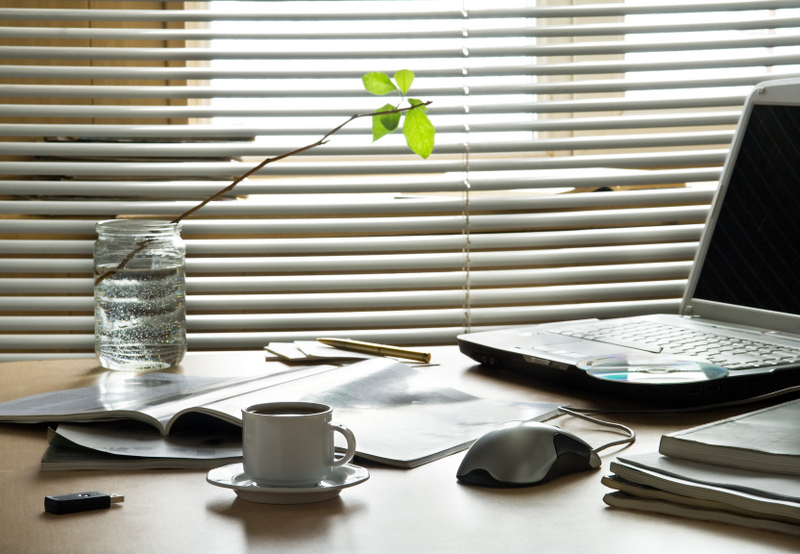 Let the people who know what works help your company in implementing an Environmental Policy. Shades of Green Events are ready to assist. 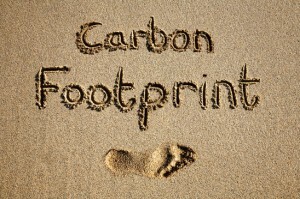 Should you be offsetting your carbon footprint? To avoid catastrophic climate change carbon emissions must be reduced by 80% by 2050. Individuals and businesses alike have an important and essential role to play in this regard and so carbon offsetting is a key tool to fight climate change. Everyday actions – like driving a car, flying and even using your computer – produce emissions of carbon dioxide. The increase in carbon dioxide seen nowadays damages the environment and enhances the risk of climate change, making this threat a global environmental, economic, and humanitarian challenge. One-way of addressing this issue is through carbon offsets. A carbon offset is a reduction in emissions of carbon dioxide or greenhouse gasses produced in order to compensate for, or to offset an emission made elsewhere. Practically, a carbon offset is a credit or credits that individuals or businesses purchase to negate a carbon footprint. When the carbon offsets purchased are equal to the individual or business’ footprint, the individual or company is considered carbon neutral. Individuals and businesses can offset their footprint by purchasing carbon offsets from one of the many voluntary markets focussing on reducing society’s carbon footprint. 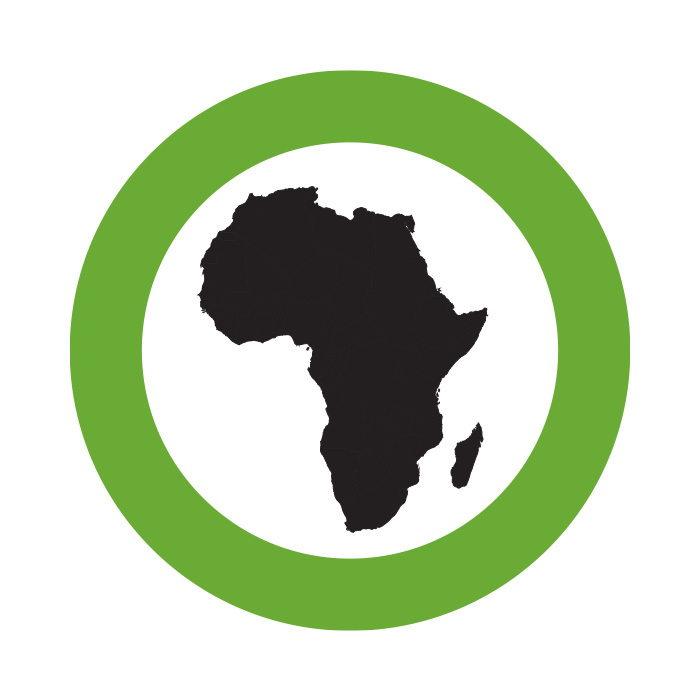 One registered carbon emission company to consider is Food and Trees for Africa, a South African enterprise. There are several benefits to purchasing ‘carbon credits’ from Food and Trees for Africa (or similar initiatives). Benefits from the planting trees initiatives include the simple fact that as trees grow they absorb carbon dioxide from the atmosphere and convert it into oxygen through photosynthesis. Individuals or businesses can also offset their unavoidable emissions through for example Kulula Airline that includes the option of purchasing a carbon offset when booking ones flight with them. Should I be worried about ‘greenwashing’? Knowing your footprint and buying offsets is not sufficient, in this lays the danger of greenwashing. You should green your event, exhibition or business, and try to avoid and reduce carbon emissions, and only then offset the unavoidable emissions. For example, rather walk somewhere than drive, or use low-energy light bulbs and water flow regulators to minimize electricity usage and water consumption. 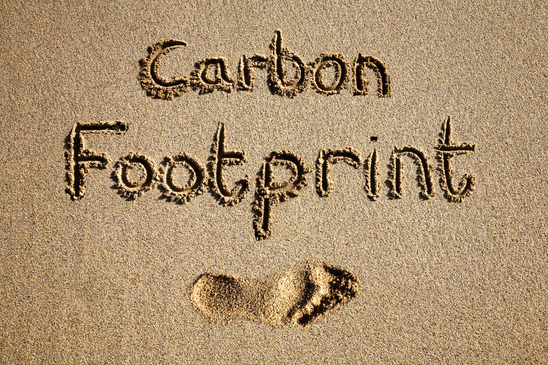 If you want your event, exhibition or business to be carbon neutral you can undertake a carbon footprint assessment, offset your footprint, and submit your carbon footprint assessment report to the Carbon Protocol of South Africa. They give you “the stamp of approval” where after you can use the carbon neutral logo. The Carbon Protocol of South Africa adheres to the stringent Kyoto requirements, and provides comprehensive, accurate data to reduce greenhouse gas emissions of projects. In this year’s budget speech, South African Minister of Finance, Pravin Gordhan, indicated that South Africa is considering introducing a carbon tax with the aim of reducing harmful greenhouse gas emissions and moving South Africa to a low-carbon economy. This is especially important considering South Africa is one of the twenty (20) biggest emitters of greenhouse gases worldwide. The carbon tax is expected to be R120 per ton of CO2e (carbon dioxide equivalent) for emissions above the threshold. The levy is expected to come into effect in 2013/2014, and to be increased by 10% a year until 2020. That said, Treasury is proposing a tax-free threshold (of about 60%) on annual emissions for all sectors, including electricity, petroleum, iron, steel and aluminium, to lesson the impact on industry. A draft policy is currently being drawn up for public comment. Carbon tax is not an urban legend but in fact a reality; it has already been implemented in the purchase price of new vehicles, which is a cost consumers absorb entirely. 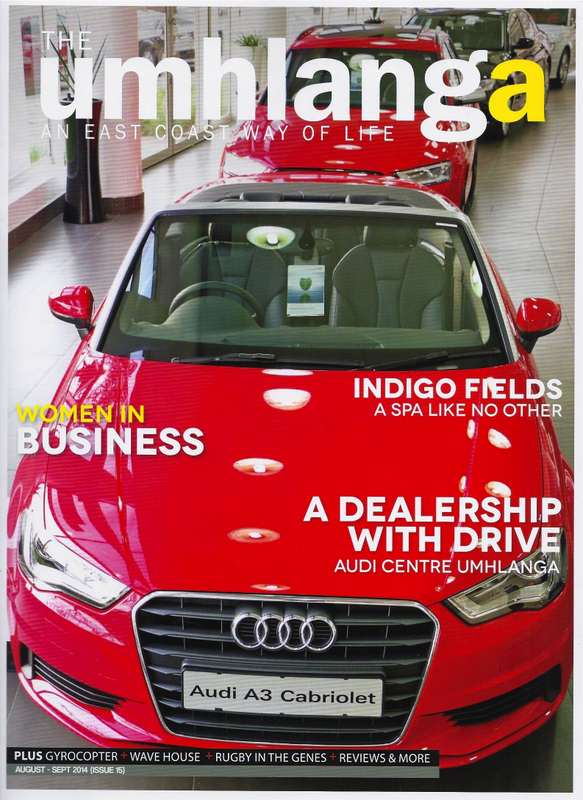 The carbon tax of new vehicles has been in place since September 2011, buyers are paying R75 for each g/km of C0²e above a threshold of 120g/km. Considering that it is highly likely some kind of carbon tax will be introduced in the next year or two, companies should consider reducing their carbon footprint now. This can be done through undertaking a carbon footprint assessment/carbon footprint analysis to obtain a real picture of their CO2e and to devise strategies to reduce their footprint in the near future. Reducing their footprints now will result in them having to pay less tax in the future. 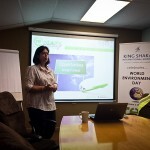 For more information visit our carbon footprint assessments page: http://www.shadesofgreenevents.co.za/carbon-footprint-assessments/ or feel free to contact us.